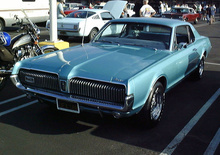 The 1967 Cougar had much in common with Ford's Mustang. 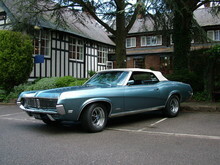 Customers could choose from two V-8 engines of 4,728 cc/28 bhp or 6,384 cc/324 bhp. 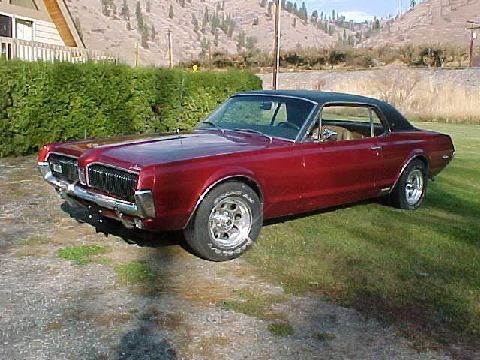 Of the 20,542 Cougar XR-7 cars sold by Mercury in 1970, 1,977 were convertibles. 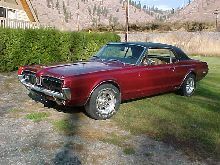 Only 51,801 "ordinary" Cougars were sold.